These 55 poems represent the impressions of the author during his 4-year stay in Jena, Germany, whilst working as a research biologist. They will strike a chord with anyone interested in town and people, as well as the countryside and its wildlife, and who cherish this, and wish to conserve it for future generations to enjoy. 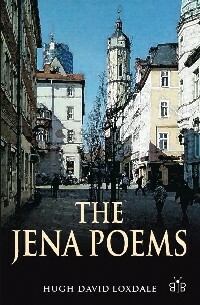 Fuer Jena Einwohner: Sie koennen das Buch auch in Jena bei Thalia in der Neuen Mitte kaufen, im Touristen Center und im Pressehaus - 9.50 Euro.